I am delighted to announce a set of very strong results. The consistent execution of our ‘smart growth’ strategy enabled all our Regions and Product Groups to contribute to top- and bottom-line, delivering on our mid-term guidance (2). In fiscal year 2017/18 (ended August 31, 2018) the Barry Callebaut Group – the world’s leading manufacturer of high-quality chocolate and cocoa products – increased its sales volume by +6.3% to 2,035,857 tonnes, significantly above the growth rate of the global chocolate confectionery market (+1.8%)1. Growth was broadly based with strong contributions from all key growth drivers: Emerging Markets (+9.1%), Gourmet & Specialties (+7.7%) and Outsourcing (+5.6%). Global Cocoa achieved a solid volume growth of +3.9%. Sales revenue was flat, +0.1% in local currencies (+2.1% in CHF), at CHF 6,948.4 million, as a result of lower raw material prices, which the Group passes on to its customers for a large part of its business. Gross profit improved by +17.2% in local currencies (+20.7% in CHF) to CHF 1,157.1 million. This increase was driven by volume growth and a better product and customer mix across all Regions and Product Groups. Operating profit (EBIT, recurring) increased by +21.2% in local currencies (+25.3% in CHF) to CHF 554.0 million. The increase was supported by all Regions and Product Groups and outpaced volume growth. The Group had a strong EBIT per tonne performance of CHF 272.1, an increase of +14.0% in local currencies (+17.8% in CHF). Net profit for the year (recurring) grew by +31.0% in local currencies (+35.9% in CHF) to CHF 357.4 million. This increase can be attributed to the strong EBIT growth, as well as lower net finance costs, and despite higher income tax expenses due to a one-off impact of tax reforms in Belgium and the US. Net working capital increased to CHF 1,074.4 million, compared to CHF 1,042.5 million in prior year. The increase is largely in line with the Group’s growth. The effect of higher inventory, trade receivables and other current assets and somewhat lower trade payables and other current liabilities was largely offset by a corresponding increase in net derivative financial liabilities. Free cash flow4 amounted to CHF 311.9 million, compared to an exceptionally strong CHF 475.6 million in the previous fiscal year, which had benefited from decreasing cocoa bean prices and some positive one-off items. As a result, net debt was further reduced to CHF 1,074.3 million (-3.3%) from CHF 1,110.9 million in the prior year. Barry Callebaut’s sales volume in region EMEA increased by +6.8% to 925,144 tonnes while the chocolate confectionery market grew by +1.9%6. In Western Europe, sales volume growth was strong as a result of good growth within both Food Manufacturers and Gourmet. In EEMEA (Eastern Europe, Middle East, Africa) sales volume recorded a strong double-digit increase driven by Gourmet and Food Manufacturers as well as a diversification of the customer base. Sales revenue in EMEA was flat at +0.0% in local currencies (+5.9% in CHF) and amounted to CHF 3,073 million. Operating profit (EBIT, recurring) was up +11.2% in local currencies (+18.1% in CHF) to CHF 352.0 million, driven by the strong volume growth and a good product mix. Barry Callebaut successfully closed the acquisition of D’Orsogna Dolciaria, a leading specialties and decorations player, in October 2017. The recently announced acquisition and a new long-term supply agreement signed in September 2018 underline the growth potential in the mostly mature European chocolate and confectionery markets. Barry Callebaut’s sales volume in Region Americas increased by +6.0% to 549,287 tonnes, well ahead of the regional market growth of +0.7%7. Sales revenue rose +3.3% in local currencies (+1.9% in CHF) to CHF 1,701 million. Operating profit (EBIT) for the region was up +9.2% in local currencies (+8.1% in CHF) to CHF 173.4 million, reflecting a favorable product mix and strong operational performance. Barry Callebaut successfully closed the acquisition of Gertrude Hawk Ingredients, a leading specialties and decorations player, in December 2017, and completed several expansions of its existing Americas factories, totaling more than CHF 30 million. The expansions will drive growth by increasing the Group’s footprint in the region and enhance its capabilities for value-adding specialty products. Barry Callebaut’s sales volume increase of +16.2% to 105,777 tonnes was again significantly ahead of the regional chocolate confectionery market, which grew by +4.9%7. The Group’s strong sales performance was supported across the region with particularly good growth in China, Japan and Indonesia. Sales revenue rose by +6.6% in local currencies (+6.4% in CHF) to CHF 370.0 million. Operating profit (EBIT) grew by +20.2% in local currencies (+20.4% in CHF) to CHF 46.6 million, driven by the strong volume growth and a strong Gourmet business. Barry Callebaut invested in the expansion of its chocolate production capacity in Singapore. Sales volume to third-party customers increased by a healthy +3.9%, reaching 455,649 tonnes. The Group’s continued efforts on premiumizing its cocoa products range have resulted in improved growth and profitability. Sales revenue declined by –3.8% in local currencies (–4.4% in CHF) to CHF 1,805 million, due to lower average prices of cocoa products. Operating profit (EBIT) further improved by +28.3% in local currencies (+30.7% in CHF) to CHF 84.8 million, benefiting from the Cocoa Leadership project that has been completed and has delivered on its objectives as well as from favorable conditions in the cocoa products market. Over the course of fiscal year 2017/18, cocoa bean prices increased by +10.9%, from GBP 1,524 per tonne on September 1, 2017 to GBP 1,688 per tonne on August 31, 2018. However, the average cocoa bean price for fiscal year 2017/18 was -6.8% lower than the average bean price in 2016/17 due to a more balanced cocoa bean crop. World market sugar prices decreased by -13.9% in 2017/18, due to a global surplus crop. Dairy prices started to weaken in the beginning of 2017/18 due to record level deliveries, but a rebound in price levels caused by the warm summer 2018 in Europe made the overall price development flat. “Expansion”: The integration of the acquisitions of D'Orsogna Dolciaria in Italy, closed in October 2017, and Gertrude Hawk Ingredients in the US, closed in December 2017, further expanding Barry Callebaut’s value-adding Specialties & Decorations business, is well on track. In May 2018, Barry Callebaut opened its first CHOCOLATE ACADEMY™ Center on the African continent – its 21st globally – in Johannesburg, South Africa. The investments in South Africa and further extensions of its cocoa processing capacities in Côte d’Ivoire and Cameroon reaffirm the Group’s commitment to the African continent. Furthermore, to keep serving its customers optimally, Barry Callebaut invested in the expansion of its global chocolate production capacities in the Regions Americas and EMEA and in Singapore. “Innovation”: Since its global launch in Shanghai in September 2017, ruby, the fourth type of chocolate, has been warmly welcomed by Barry Callebaut’s customers and has been making waves in consumer markets across the world. The iconic KitKat brand launched Sublime Ruby in Japan, South Korea, several European markets and Australia. 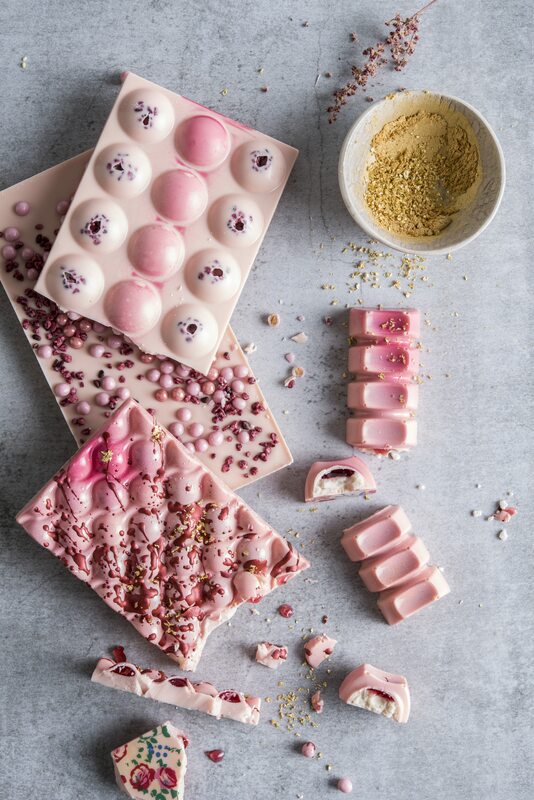 After the introduction of the finest Belgian Ruby RB1 chocolate under the Callebaut brand in March 2018, Barry Callebaut launched Ruby Rubina under its Swiss Carma brand in May 2018. Furthermore, Barry Callebaut announced the extension of its dairy-free chocolate product portfolio in the US, tapping into growing customer demand for dairy-free chocolate. 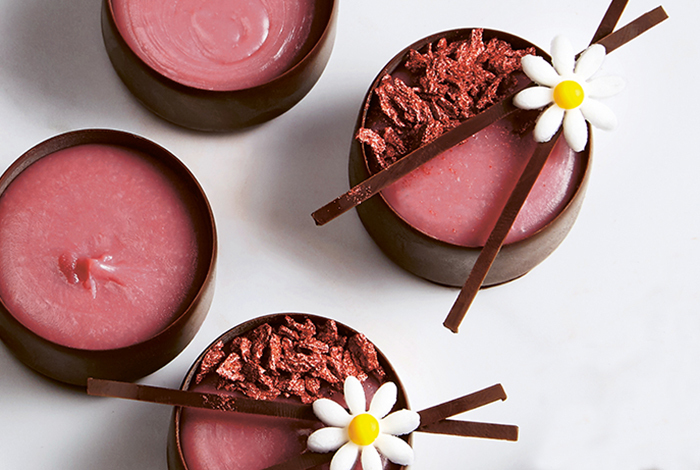 In addition, Barry Callebaut’s sugar-reduced solutions are enticing customers and growing by double-digits. 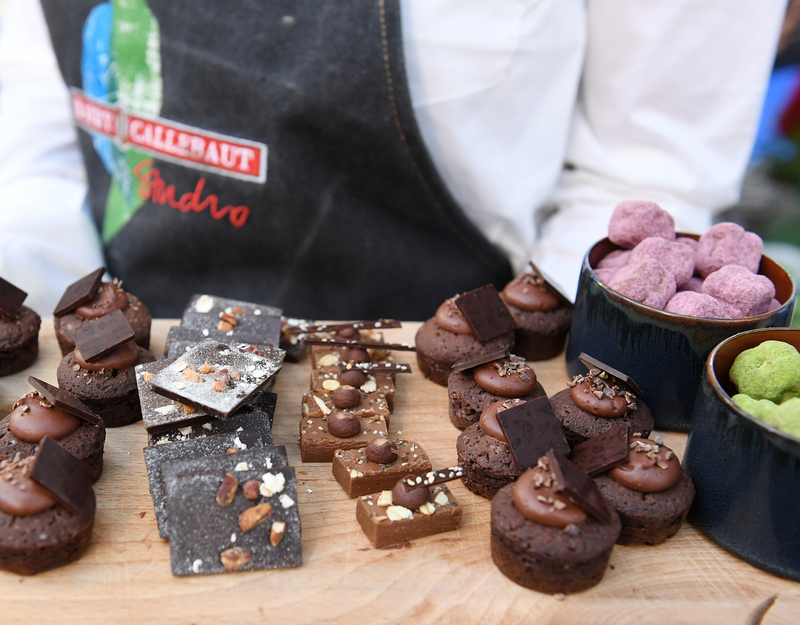 Last but not least, Callebaut introduced a sensory language and tasting ritual for chocolate in January 2018, which enables brands and artisans to help consumers appreciate chocolate even more than they do today. “Sustainability”: In fiscal year 2017/18 Barry Callebaut launched a number of unprecedented initiatives in support of its Forever Chocolate plan to make sustainable chocolate the norm by 2025. In 2017/18, the group sourced 44.0% (vs. 36.0% in prior year) of its cocoa and 44.0% (vs. 30.0% in prior year) of its other chocolate ingredients from sustainable sources. Barry Callebaut was one of the driving forces behind the signing of the Cocoa and Forests Initiative at the UN Climate Summit in Bonn in November 2017, bringing together the leading cocoa and chocolate companies, NGOs and the Ivorian and Ghanaian governments to commit to eradicating deforestation from the cocoa supply chain in West Africa. In addition, the Group is building datasets with detailed location, agronomic, economic and social survey data on already over 130,000 cocoa farms in its supply chain. These unique datasets allow Barry Callebaut to create tailor-made sustainability programs to solve the key issues of the mapped cocoa farming communities. In addition, Barry Callebaut developed pilot projects in five key cocoa sourcing countries, Côte d’Ivoire, Ghana, Cameroon, Brazil and Indonesia, to build a model of what sustainable cocoa farming in these countries entails. Furthermore, Barry Callebaut organized the fourth CHOCOVISION conference in June 2018, bringing together over 200 business leaders and key stakeholders in the chocolate and cocoa industry. Significant transactions: A long-term supply agreement with Burton’s Biscuit Company, the UK’s second largest biscuit manufacturer, in September 2018 and the recently announced acquisition of Inforum, a leading B2B chocolate manufacturer in Russia, the world’s second largest chocolate confectionery market, support Barry Callebaut’s growth ambition in Region EMEA. Both transactions are subject to closing conditions and regulatory approvals and are expected to be closed by the end of calendar year 2018.
Credit ratings: Moody’s Investor Service (Moody’s), one of the most important providers of credit ratings, upgraded Barry Callebaut’s long-term issuer rating to Baa3 investment grade, up from Ba1. At the same time, all senior unsecured ratings assigned to the bonds issued by Barry Callebaut Services N.V. have also been upgraded to Baa3, up from Ba1. The upgrade of Barry Callebaut’s rating to investment grade reflects the company’s improvements in operating performance and financial metrics. The Board of Directors is proposing a payout to shareholders of CHF 24.00 per share at the Annual General Meeting of Shareholders on December 12, 2018, an increase of +20.0% versus prior year. This represents a payout ratio of 37% of the net profit. The dividend will be paid to shareholders on or about January 9, 2019, subject to approval by the Annual General Meeting of Shareholders. James (Jim) L. Donald, Board member since 2008 and Chairman of the Nomination & Compensation Committee, has decided to step down from these functions at the Annual General Meeting of Shareholders 2018 following his recent appointment to President & CEO of Albertsons Companies, one of the largest supermarket chains in North America. The Board of Directors would like to express its sincere gratitude to Jim Donald for his unmatched expertise as a retail veteran and for his valuable impulses to Barry Callebaut’s people agenda. The Board of Directors will propose Suja Chandrasekaran, Markus Neuhaus and Angela Wei Dong as new Board members. Suja Chandrasekaran (national of Australia, India and the US), is a technology executive. She currently serves as Chief Information and Digital Officer of Kimberly-Clark (K-C) where she is part of the leadership team and leads all technology, digital, data applications and cyber security capabilities globally. Angela Wei Dong (Chinese national), has deep expertise in Chinese retail business. She currently serves as General Manager Greater China for Nike Inc. and has P&L responsibility for a USD 5 billion business. 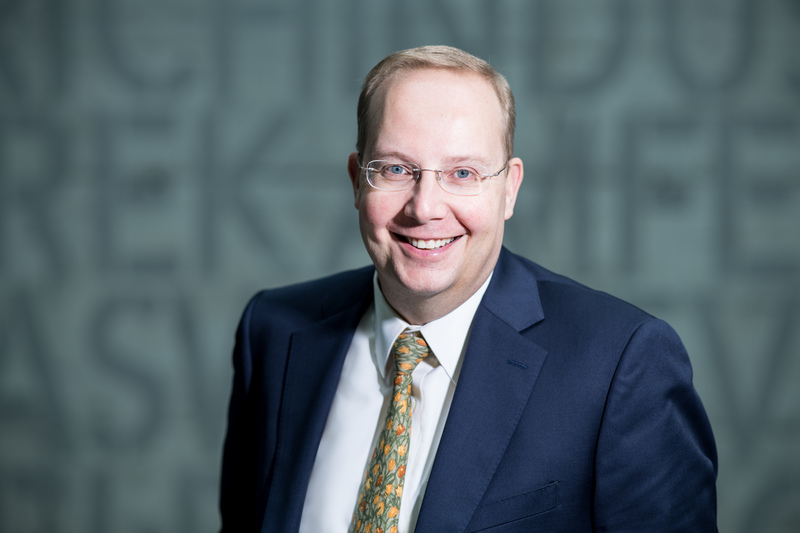 Markus R. Neuhaus (Swiss national), is a proven expert in law and corporate tax. 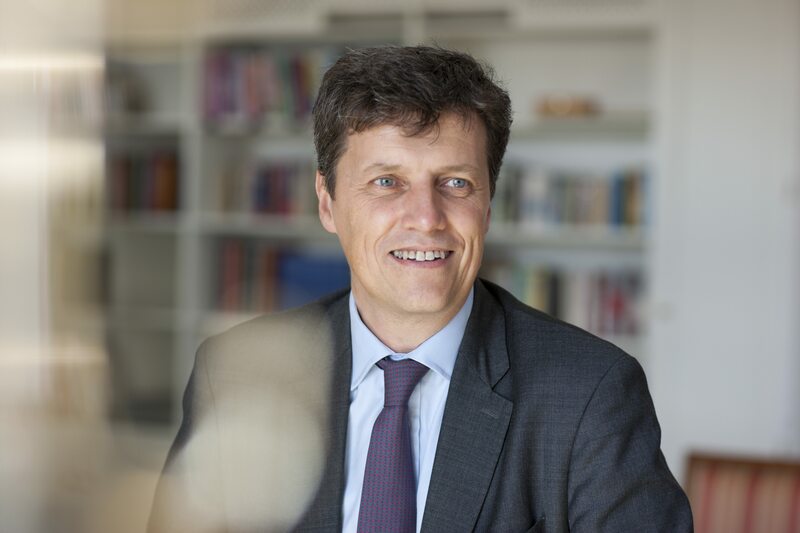 He is currently Chairman of the Board of PwC Switzerland and a member of the Supervisory Board of PwC Europe SE (Germany, Netherlands, Belgium, Austria, Turkey). He joined PwC in 1985 and became a Partner in 1992. All other members of the Board will stand for re-election for another term of office of one year. 1 Source: Nielsen, +1.8% in volume for the period August 2017 to August 2018 – 25 countries. 2 On average for the 4-year period 2015/16 to 2018/19: 4–6% volume growth and EBIT above volume growth in local currencies, barring any major unforeseen events. 3 Refer to page 5, Restatement of prior year comparatives, and to page 9, Appendix 1. 4 Net cash flow from operating activities / Net cash flow from investing activities, excluding acquisitions. 5 On average for the 4-year period 2015/16 to 2018/19: 4–6% volume growth and EBIT above volume growth in local currencies, barring any major unforeseen events. 6 Source: Nielsen, Chocolate confectionery sales in volume, from August 2017 to August 2018. 7 Source: Nielsen, Chocolate confectionery sales in volume, from August 2017 to August 2018. 8 See page 48 of the Annual Report 2017/18, Summary of Accounting Policies – Restatement and reclassification of prior year comparatives. 1 For the definition of Key Figures, please refer to 5-Year Overview in the Annual Report 2017/18, page 11. 2 See page 48 of the Annual Report 2017/18, Summary of Accounting Policies – Restatement and reclassification of prior year comparatives.